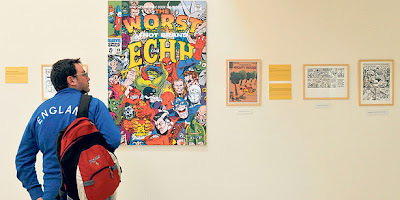 Long gone are the days when the concept of comic strips forged an irrevocable association with images of nerdy teenage boys of the antisocial variety. For as recent decades have shown, the barbed humor of this diverse arts medium not only has the power to engage the attention of millions of avid followers of all ages worldwide but has proved to be a potent weapon in the tackling of unspoken and otherwise taboo personal and political struggles from both the past and the present. 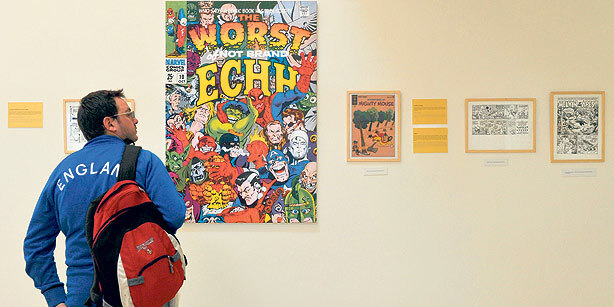 Last October marked a considerable step in the development of a comic network in Turkey with the establishment of IstanBulles, the First International Comics Festival of Istanbul, a 10-day event curated by comic book historian Didier Pasamonik. Inspired by the encouraging response to October’s events, Pasamonik returned once more to the Turkish cultural capital, where he has played an integral role in the coordination of the “Comic Strips in the Second Degree” exhibition, which opened on Thursday at the Istanbul French Institute in the city’s Taksim neighborhood.